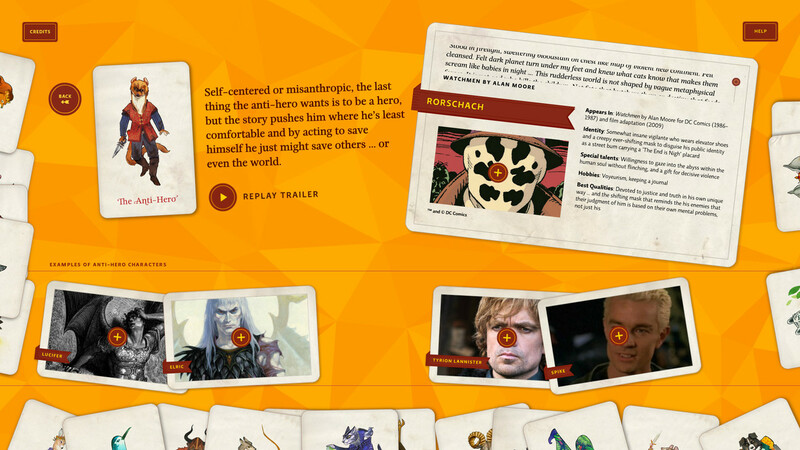 Through this interactive, users can explore various archetypes within fantasy. 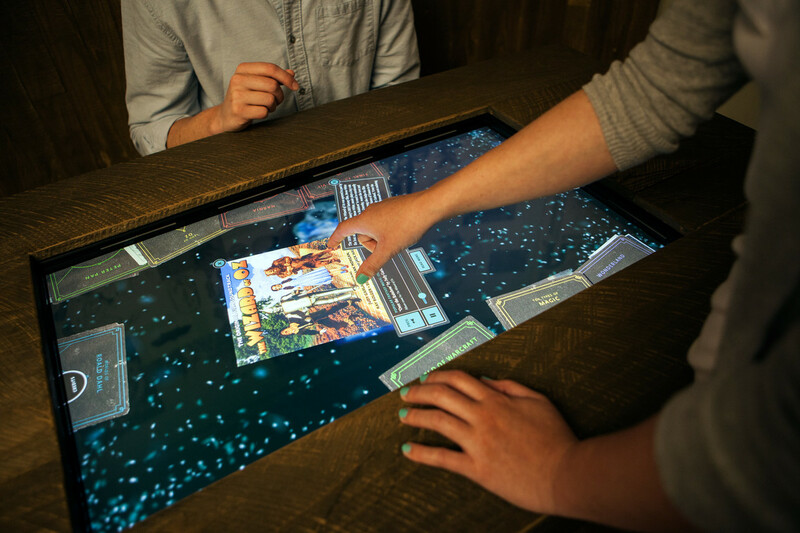 Mapmaker interactive in the exhibit. 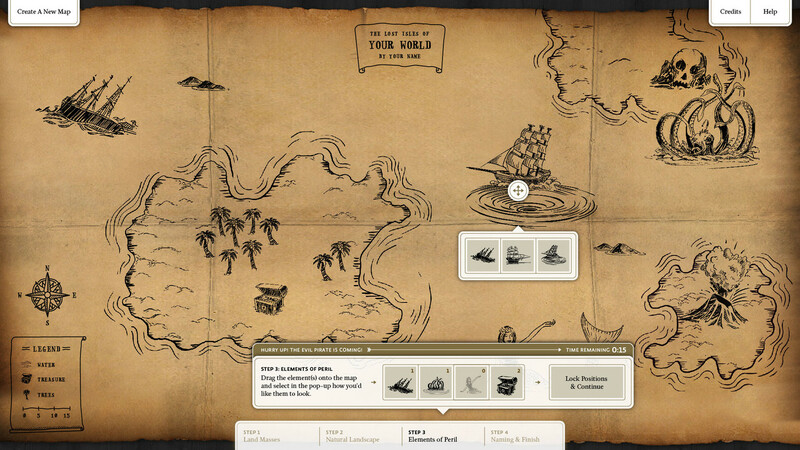 People could pick between a wizard, a pirate, or a manga styled map to create their world. Wizard interactive in the exhibit space. 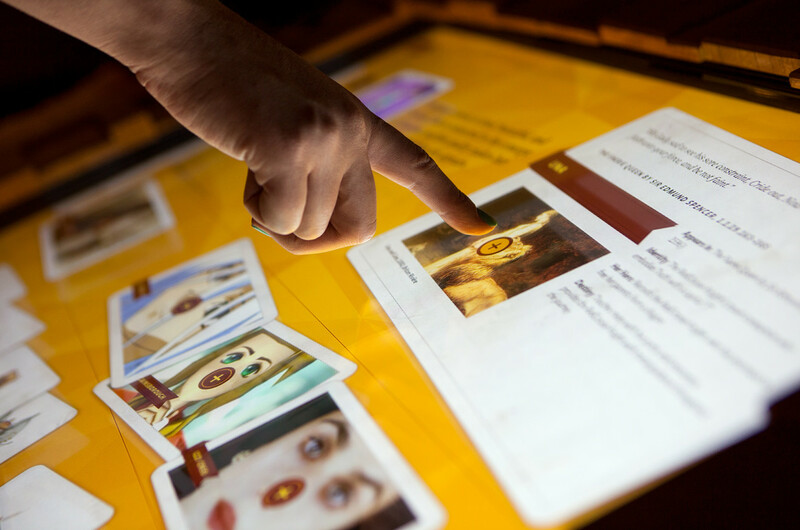 Here, users can open magical books that contain videos, audio, images and text where they can learn more about the fantasy genre. Visitors align themselves to best match their character's pose. 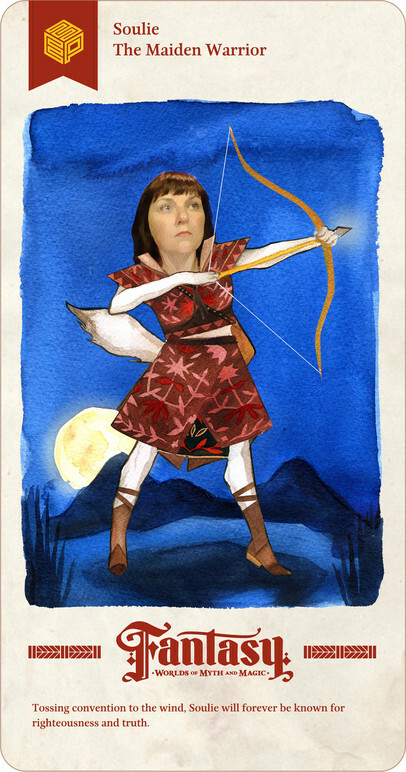 Visitors can select which background they want their character to appear on. 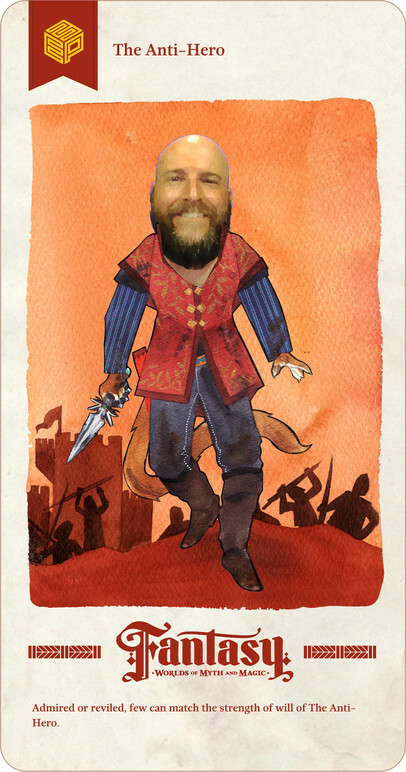 A finished portrait taken at the Fantasy Photobooth. EMP Museum commissioned Belle & Wissell to design a series of interactives for their exhibition titled “Fantasy: Worlds of Myth and Magic”. 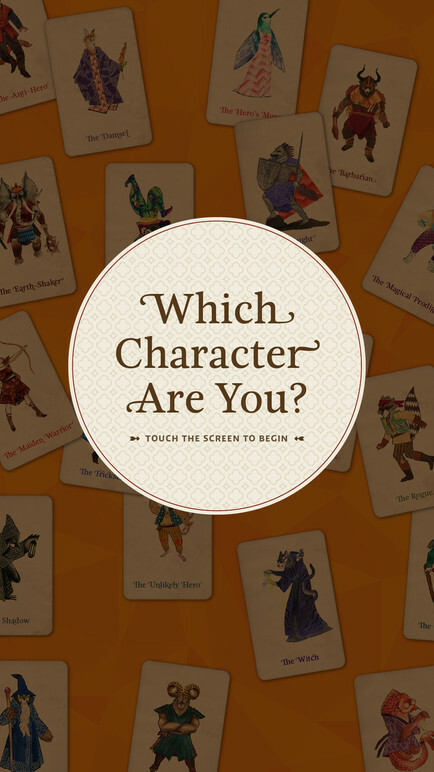 The Archetypes Interactive is a multi-touch table that uses a hands-on, tarot card approach to exploring roles within the Fantasy genre, and then view examples in pop culture that reflect each role. 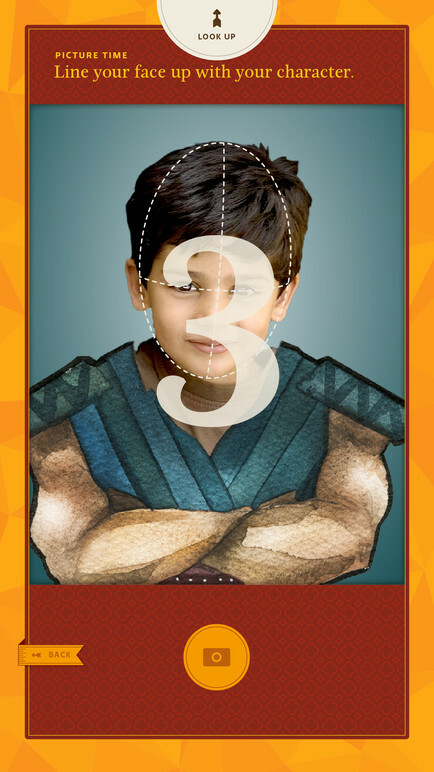 An integrated quiz let’s visitors see which archetype is the closest fit to their personality. 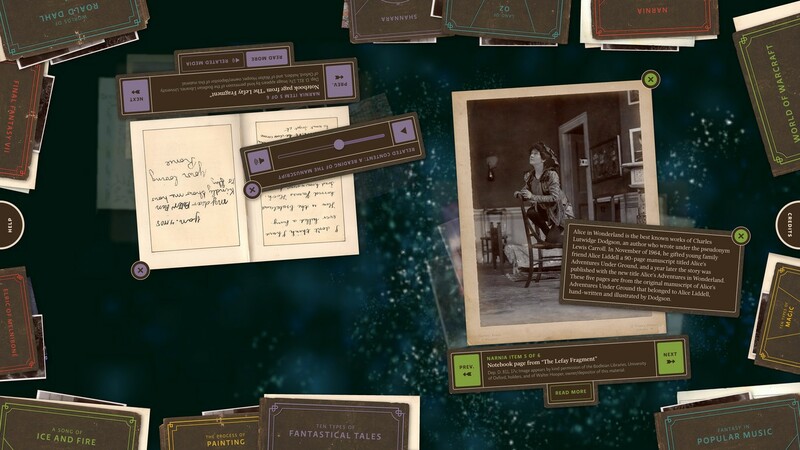 The Wizard’s Table is a magical, multi-touch experience that provides visitors with a series of themed folios to explore ephemera, multimedia, and otherwise. The content is presented in an abstracted interface, full of lighting effects and programmatically generated movement. 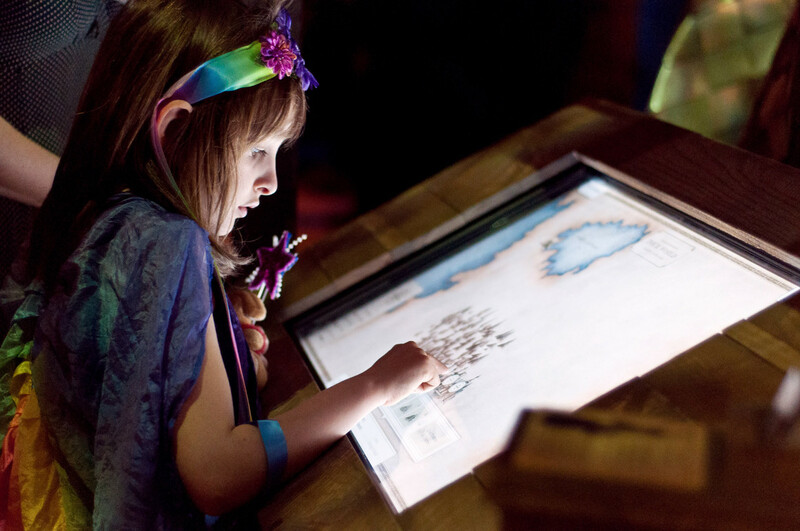 The Mapmaker Interactive empowers EMP visitors to design their own world, choosing from three unique palettes: Wizard (an ancient medieval landscape), Pirate (a water world of allure and danger), and Manga (a land made up of floating islands in the sky). Maps easily can be printed at a station in the lobby for the journey home. 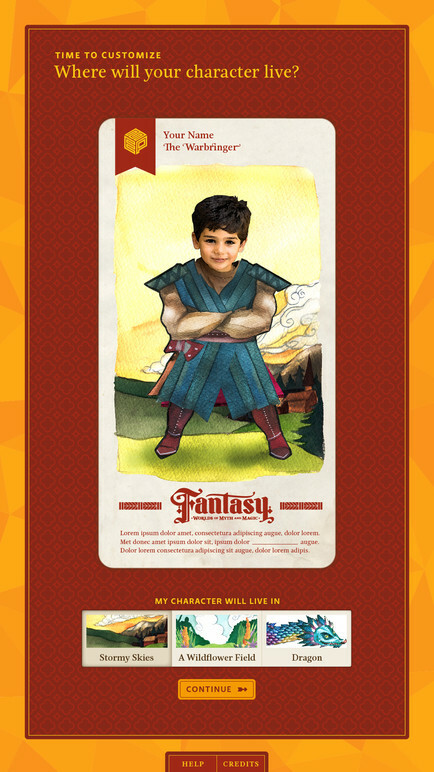 The last experience in the gallery is the Fantasy Photobooth, which completes the connection to the characters first introduced in the Archetypes Interactive. 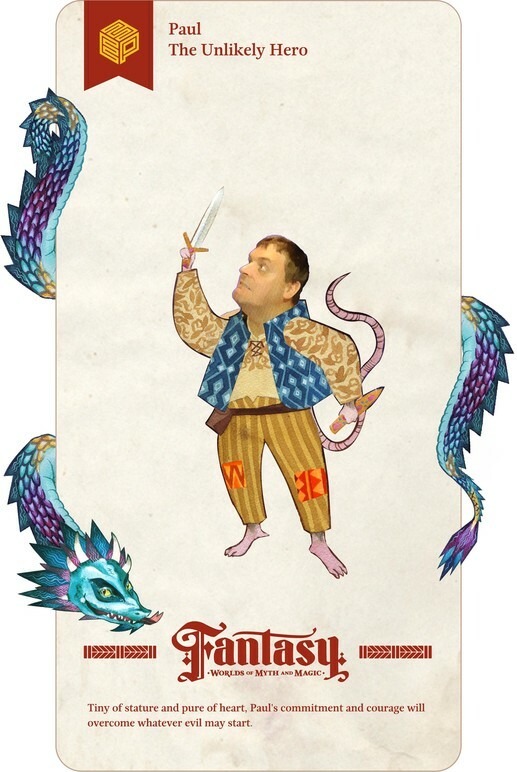 Visitors choose which character they want to embody and a stylized portrait is taken and merged with that character. Then, they select the scene best suited for their character and select attributes that are woven into a tale that appears next to their completed character. 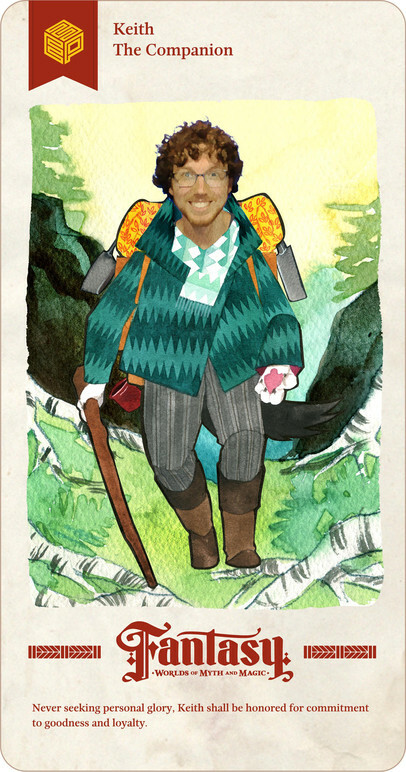 Finished portraits are displayed in a digital gallery and shared to EMP Museum’s flickr feed.